Otago Museum is unique. It offers organisers a suite of venues ideal for a range of events of any size or style – from a small board meeting to a memorable social function to entertain hundreds. There are many stars within the Museum’s portfolio, including small and medium-sized theatres, seminar and meeting rooms, ranging through to the iconic central atrium space which connects galleries and venues across the Museum’s three floors. 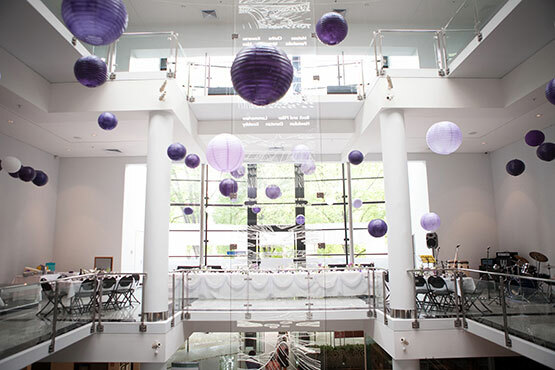 With the capacity to host 850 people over the three levels, the dramatic architecture of the atrium lends itself well to balls, large Christmas parties, conferences and cocktail functions. The exhibition and permanent galleries are a great option for character-themed occasions. The Victorian-inspired Animal Attic oozes quirky charm, and the large Southern Land, Southern People gallery offers a local feel. The latest additions to Otago Museum’s venues are the digital Beautiful Science Gallery, capable of hosting up to 120 guests, and the 50-seat, state-of-the-art Perpetual Guardian Planetarium. The Beautiful Science Gallery’s giant immersive screens surround guests with interactive stories of Otago – or customised branding and imagery personalised to an event. Guests can lie back in the leather seats and be treated to an exclusive show in the Perpetual Guardian Planetarium to top off an out-of-this-world evening. Catering can be provided for delicious breakfasts, morning and afternoon teas, lunches and canapés, and the Museum works closely with preferred caterers to recommend and deliver dinner menu options.